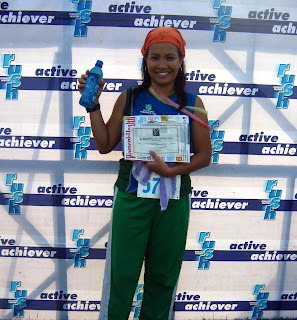 My First 5K Run | To Be, To Be. Tutubi. 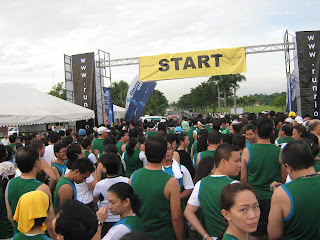 Last Sunday, husband and I headed to Heritage Park in Taguig for our first ever 5K run. My company hosted the event and it was such a huge success. Being our first time, we just paced ourselves and generally just had fun. It was a fun run after all! 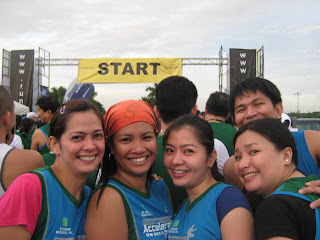 We actually had no time to train for this race because we were so busy last week. Coming from Bohol last weekend, I was swamped with work and Mommy duties. 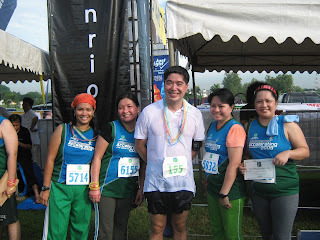 That's also the reason why we just run and walk at a comfortable pace and just aimed to finish the race. 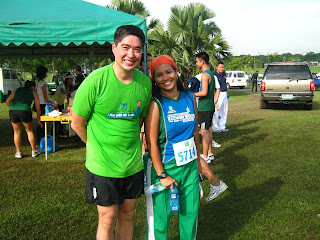 The highlight of my first 5K experience was having my picture taken with Mr Lance Gokongwei who himself is an avid runner. 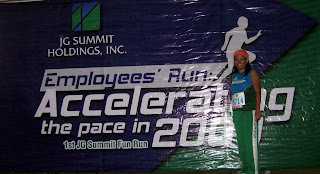 Yes, I ran with Lance! I was starstruck! It was really such a fun experience for me and my friends. We hope to do this again next time and maybe try to win some prizes next time. The Blogger is in Bohol!